Want natural relief from sudden fear and nervousness? Many use essential oils for panic attacks to help calm down more quickly. If you’re feeling lots of stress, you can do some calming things to manage it. For example, take several deep breaths. Or, breath in some lavender essential oil. And, call your massage therapist to book an appointment. However, panic attacks are a different beast. A panic attack makes a little bit of stress or anxiety seem like a walk in the park. Do you experience frequent bouts of anxiety or stress? This comparison isn’t meant to diminish your experience. Compared to stress and anxiety, panic attacks come from out of nowhere. By comparison, anxiety tends to be more chronic. To illustrate the onset of a panic attack, here’s an example of one occurring. You could be in the kitchen making a cup of tea. You’re not even thinking about the bills you’re behind on. Then suddenly, shortness of breath and tightness in the chest paralyze you. But it’s not just the fact that you can’t breath that paralyzes you. Moreover, you’re struck with fear. Thankfully, there is an all-natural solution for panic attacks that may help: essential oils. Essential oils for panic attacks and anxiety are a safer, gentler alternative to medications. Especially, when considering many anti-anxiety drugs have undesirable side effects. In fact, these side effects can be serious or life-threatening ones. Anxiety disorders are some of the most common mental problems around the world. In fact, they are the most common mental illnesses in the US. Anxiety disorders in the States affect about 40 million people. Almost one in five people in the U.S. between the ages of 18-60 is affected by an anxiety disorder. In light of this fact, essential oils for panic attacks will likely become more popular as an alternative therapy. What are the best essential oils for panic attacks and anxiety? 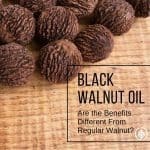 In addition, there are other oils that have been used for centuries for anxiety and depression. They include frankincense, melissa, nerolineroli, holy basil, vetiver and ylang ylang. You can also use these essential oils for panic attacks. However, here’s an important medical disclaimer before you use essential oils…. These oils are not a surrogate for medication. Essential oils are not substitutes for anti-anxiety management. In fact, serious anxiety disorders should be treated in consultation with a physician or psychiatrist. And, you should get to know the best essential oil brands. If you suffer from panic attacks, it’s probably best to always carry with you a bottle of your favorite essential oil. That’s because you may not have a panic attack in your own home. At home, you can have immediate access to an essential oil diffuser or a bottle of essential oil. However, if you’re at, say, a gas station, you’re not going to have your oil diffuser handy. And maybe, you’ve had a long day at work. And you’re filling up the tank. Suddenly, out of the blue, with no warning, a panic attack strikes. If you keep a bottle of oil with you handy at all times, you can quickly whip it out of your pocket. So, if you’re prone to panic attacks, try having a bottle of lavender oil or chamomile with you at all times. If and when a panic attack strikes, take out the bottle. Then, take some deep breaths. As a result, hopefully, your heart rate will rapidly return to normal. In addition, at home and at work, keep an essential oil diffuser on your nightstand and desk. Spend the extra money for one that has several different ambient colors to choose from. A light purple color is soothing. Fill the diffuser with 2-3 of the oils mentioned above. After filling the diffuser with water, place roughly 8-10 drops. Turn the diffuser on as much as possible so you can decrease your chances of having a panic attack. You can also use an essential oil roller. Buy yourself some 10 ml opaque amber roll-on oil bottles. You can put 10 drops of your favorite oil. Or, use a combination of 2-3 oils. However, before pouring the oil or oils in the roll-on bottle, dilute them with a carrier oil. The proper ratio is 1-2 drops per 1 teaspoon carrier oil. Fractionated coconut oil is a good carrier oil. This is because it has a long shelf life. In addition, it easily absorbs into the skin. Moreover, it preserves and maintains the essential oil’s fragrance and medicinal properties. Bonus for fractionated coconut oil: it doesn’t stain your clothes! After mixing the oils with the the carrier oil, use a dropper to get the mixture into the roll-on bottle. Roll the oil on the back of your neck. Or have a partner do it for you. Also rub it on the bottom of your feet. And your spine. If you were to use these calming oils every day, you may be able to prevent future panic attacks. Or, at least lessen the severity of them. Also, try to take a nightly bath with essential oils, if you have a half-decent tub. Taking a bath with essential oils activates the parasympathetic nervous system. This means that your “rest and digest, take-it-easy” system is stimulated. The more you activate your parasympathetic system, the less anxiety you may feel. Lots of people are familiar with lavender oil’s calming effects. But fewer people have heard of vetiver oil. Vetiver oil has shown promise in clinical studies (particularly, this one) for its anti-anxiety effects. In fact, vetiver may be as effective as Diazepam for stress disorder. The most popular brands of essential oils offer mood balancing blends that may also be effective for anxiety and panic attacks. There’s also has a popular anti-anxiety blend. But this blend isn’t a formula trademark by any essential oil brand. It’s called “Liquid Xanax.” (Obviousy, the essential oil companies would get sued if they attempted to trademark that name; it’s a blend formulated by certain customers of a popular brand.) Containing vetiver, lavender and a few other oils, “Liquid Xanax” has become a popular Pinterest post. Lavender is perhaps the most popular essential oil for anxiety. Many research studies confirm lavender’s effectiveness for reducing stress and promoting calmness. In fact, researchers have concluded lavender can reduce excessive or agitated behavior. This is according to a review of several oils for anxiety treatment. In addition, lavender may improve mood and reduce anxiety as well as depression. Lavender aromatherapy also reduces blood levels of the stress hormone, cortisol. You can place lavender oil on the same areas mentioned above for the other areas (feet, neck, spine, and, additionally, wrists). To use lavender oil for anxiety, simply follow the advice above for the other oils. Use a diffuser, inhale, or roll some on the above mentioned parts of your body. To use essential oils for anxiety in children, you can follow the advice above. However, it’s important to realize children’s systems are more sensitive than adult’s. Thus, dilute the blends even more. You can also rub some oil on a bracelet that your child wears. Tell your child that when he or she feels anxious, taking a few whiffs of the bracelet can help them feel more calm. Lovely blog post. Great tip! Thank you for your advice and information about essential oils that help with anxiety and depression. My mom has been in the hospital for three months now and is deeply depressed and has been having anxiety attacks. I have a ton of these oils ready to be ordered now! Have you had luck with oils for your mom? I need to find something for my daughter’s anxiety. I can’t cope with the pain of my break up. Can’t eat or sleep, I feel depressed. Can’t sleep without the sleeping pills. And to make things worse I think I’m getting addicted to them. How can I make myself feel better and sleep better? Although natural remedies can work, it’s best to seek professional help.